Beloved patient and avid hiker, WR, came in today after completing a rigorous 80 mile, 6-Day hike in Morocco. Prior to the hike, he purchased new hiking boots, which coincided with his onset of pain and formation of a never-before-seen lump at the front of his ankle. 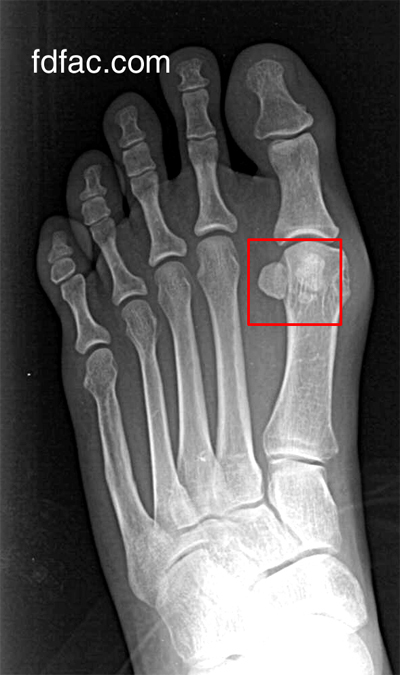 Fortunately, ultrasound and MRI showed nothing seriously wrong in this area other than focal swelling and inflammation consistent with tendonitis. After evaluating his new hiking boots however, it was apparent that the top hook-lacing combination was crossing at exactly the same point where his pain and swelling was. 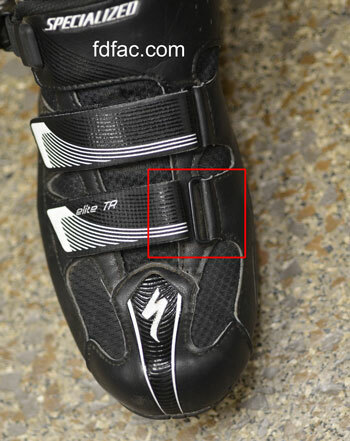 In short, due to where the laces were crossing, the boot was strangulating the tendon beneath this point. 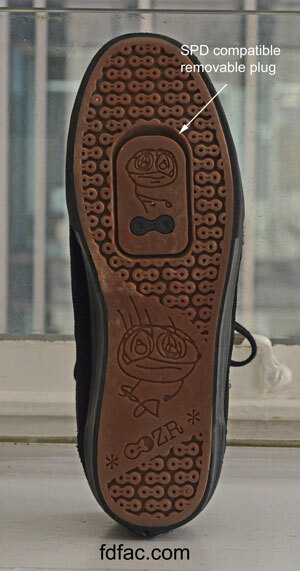 The easiest solution was to skip the uppermost eyelet on his boot, which was causing the irritation as the following image shows. If you or someone you know has a sudden onset of swelling or pain in the foot or ankle, seek treatment with your podiatrist right away. If nothing is found to be wrong, you may just need to modify your shoe lacing – or in this case hiking boots, to make the pain go away. For other lacing tricks and applications, check out my other posts. Zero drop minimalist shoes are all the rage right now. Unfortunately, just because a shoe has zero height differential — between the ball of the foot and heel — doesn’t mean it will work for you. 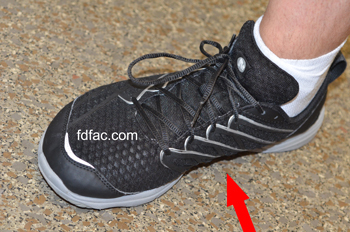 Case in point: One patient I saw today is an ultrarunner who switched from a structured shoe to a zero drop minimalist style two years ago to reduce unilateral infrapatellar pain. Fortunately, the pain resolved, but within the last several months he started to experience increasingly painful peroneal (outer foot) pain and medial (inner) meniscal knee pain. 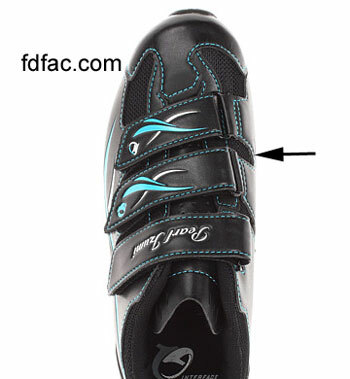 He did not have either pain prior to training in the zero drop shoes. 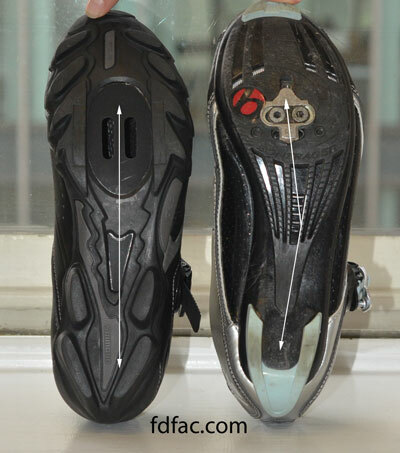 A quick evaluation of his zero drop shoes, identified an hourglass-shaped midsole/outsole. 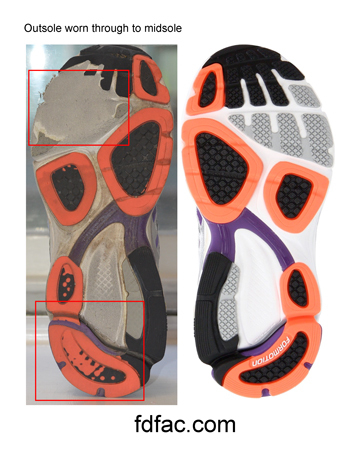 The arrow shows the narrow midsole width and the rectangle shows how much of his midfoot was only being supported by the upper (25%). 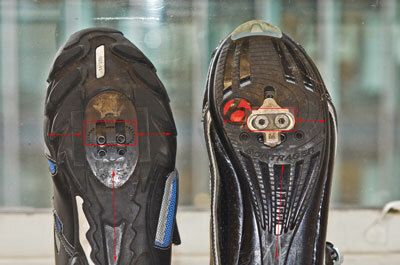 This significant lack of support mid-arch caused his arch to negatively drop below the plane of the heel and forefoot, altering his knee and foot mechanics enough to produce compensatory pain in other areas. 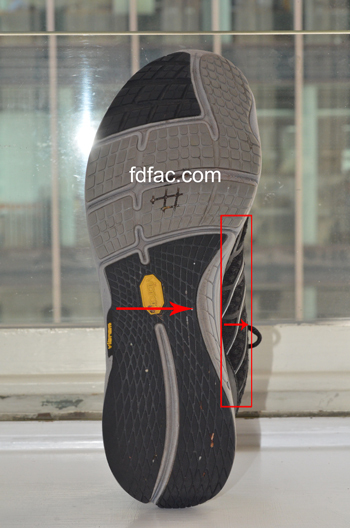 The following image shows the top view of his foot in the shoe. 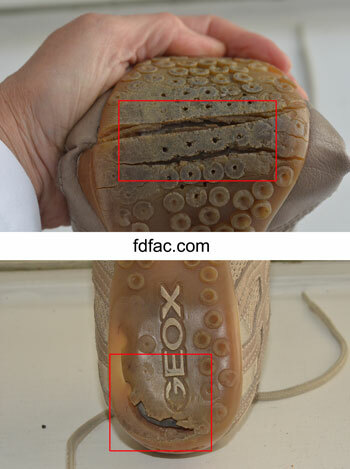 As you can see the grey midsole disappears from the entire arch — and this is where support is needed the most. If you’re running in minimalist or zero drop shoes, you will still want to match the shoe to your foot type — otherwise new injuries can occur.